Important fragments of the Tu-154 found by divers at a depth of 27 meters in the Black Sea. 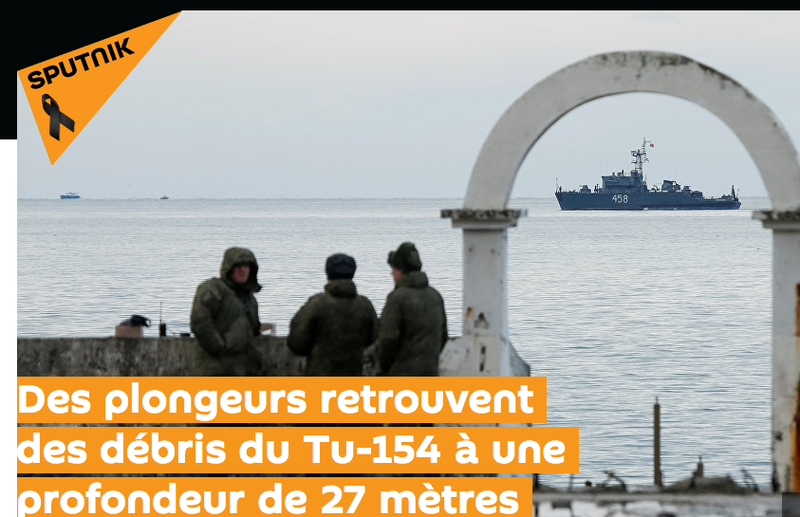 During the search operation, divers found four segments, including one four meters long from the Russian military aircraft that crashed into the Black Sea yesterday morning. According to preliminary information, the debris is located at a depth of 27 meters about one mile from the coast, said Russia Today, from a source in the regional search and rescue unit of the Ministry of Emergency Situations. “Divers discovered four segments, one of them being about four meters long,” the source said. At present, search and rescue teams are working to recover these fragments with a floating crane. In addition, divers have lifted two cockpit pieces from the bottom of the sea, and judging by their serial numbers they belong to the Tu 154, said the Russian Ministry of Defense. 45 ships, 12 aircraft, ten helicopters and three drones are engaged in the Tu-154 search operations. The Tu-154 military aircraft carried 92 people, including eight members Crew and 84 passengers, Russian soldiers, singers of the Red Army Choir (the Alexandrov Ensemble) and journalists. It was heading towards the Russian air base in Hmeimim, near Latakia, western Syria, and crashed this morning in the Black Sea. The plane disappeared from radar shortly after takeoff this Sunday morning at 05:40 (02:40 GMT). Debris from the plane has been found in the Black Sea. Military staff of the Russian Investigation Committee have opened a criminal investigation into the Tu-154 crash. The causes of the Tu-154 crash are the subject of a thorough investigation. Among the preliminary hypotheses are a technical failure of the aircraft, poor quality of the fuel, a pilot error, or the possibility of a collision with a foreign object that would have been aspirated by the engine. In Russia, Monday 26 December was declared a day of mourning for those who died in the Tu-154 crash.